For the original game from 1998, see Need for Speed III: Hot Pursuit. No DLCs for the PC version. DLC content can still be accessed by modding the game, see How to get DLC events and DLC cars. Origin account and key activation is required for multiplayer. Never officially released on PC; ported by modders (see How to get DLC events and DLC cars). Patch 1.0.5.0 (NFSHP_1000_to_1050.exe) is the last patch for the game. It is only required for retail version of the game. Digital versions are already patched. Changelog. Menus remain scaled to 16:9 and the in-game HUD extends out of the primary screen, but the FOV scales well. Menus remain scaled to 16:9. However, both the in-game HUD and FOV scale well. Racer_S Camera Hack can tweak this. Doesn't work with the last patch. Can be forced through the Nvidia Control Panel/AMD Control Center. Perhaps due to the game's deferred rendering implementation Super Sampling AA seems to have better performance than MSAA, if using a utility such as Nvidia Inspector. Fully remappable, can assign any action to any button. 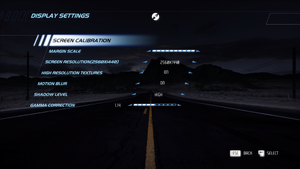 To improve sound quality copy DSOAL + HRTF into the game dir to greater enhance car engine volume (also no HRTF ini attached). Make sure you have stereo set in audio options for 2.0 configurations. Alternatively use IndirectSound (no HRTF) and .ini. 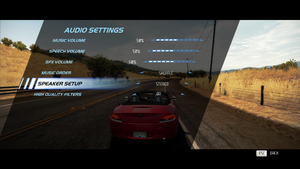 Too low player car engine audio volume was also fixed in v 1.0.2.0 in some extend. In dsoal the changes are even pushed forward. Now you may like to lower SFX volume to hear the music louder. The game sound mix is bad. 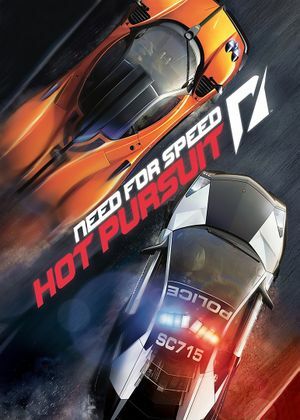 Features three game modes: Hot Pursuit (team based, semi-co-op racers vs. cops race), Interceptor (racer vs. cop head-to-head battle), and Race (classic race). By default, the game places its processing load on the first CPU core only, which causes occasional framerate dips on some systems. To fix this, you must change the affinity of the NFS11.exe process to exclude CPU 0; after doing this, it places its load equally across the remaining cores. Enter the Task Manager via Ctrl+Alt+DEL. Move to the 'Details' tab. Right-click on the 'NFS11.exe' process and click on 'set affinity'. All of the cores will be activated by default. Left-click the 'CPU 0' entry and its tickbox should clear. This process will need to be repeated upon every launch of the game. Open <path-to-game>\d3d9.ini or %USERPROFILE%\Documents\My Mods\SpecialK\Profiles\NFS11.exe\SpecialK.ini depending on the installation method you used. Open in notepad %USERPROFILE%\Documents\Criterion Games\Need for Speed(TM) Hot Pursuit\Save\Default\controls.NFS11Save and edit name "KEYBOARD" or however it's called in your language to "KEYBOARD" in english, or in reverse, depends on you game language, and what was your previous save language. Alternatively you can delete it. Possibly one of the patches fixes it. Movie and irritating sound of intro won't play. It will show black screen for some time. You can switch task immediately after the game launch - till the blank intro screens end. The Events DLC can cause bugs and crashes at some points, while the Cars DLC should be safe. 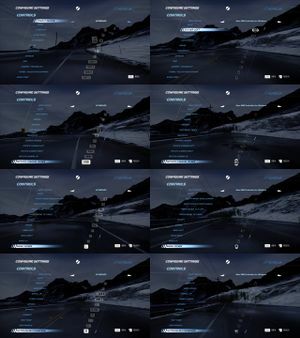 This method does not provide access to events and cars DLCs at the same time. Follow this guide: Need for Speed: Hot Pursuit PC - How to get DLC events and DLC cars. ↑ 1.0 1.1 File/folder structure within this directory reflects the path(s) listed for Windows and/or Steam game data (use Wine regedit to access Windows registry paths). Games with Steam Cloud support may store data in ~/.steam/steam/userdata/<user-id>/47870/ in addition to or instead of this directory. The app ID (47870) may differ in some cases. Treat backslashes as forward slashes. See the glossary page for details. This page was last edited on 15 January 2019, at 01:33.